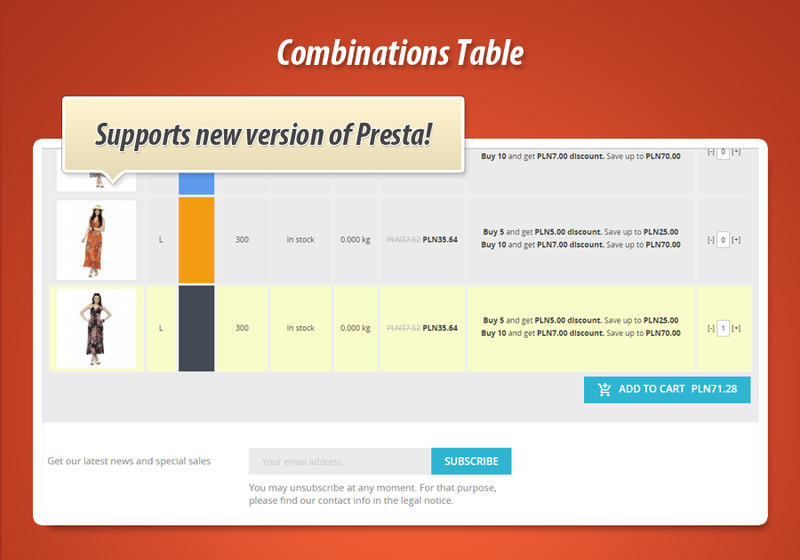 This prestashop module creates combinations table on each product page (which has got combinations). 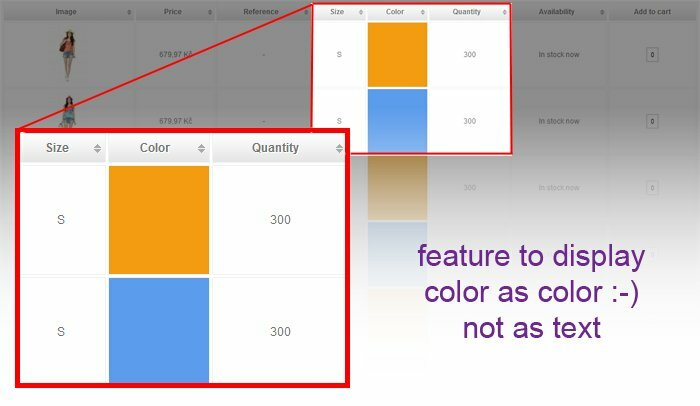 With this feature you can easily display combinations matrix with add to cart button with quantity field. 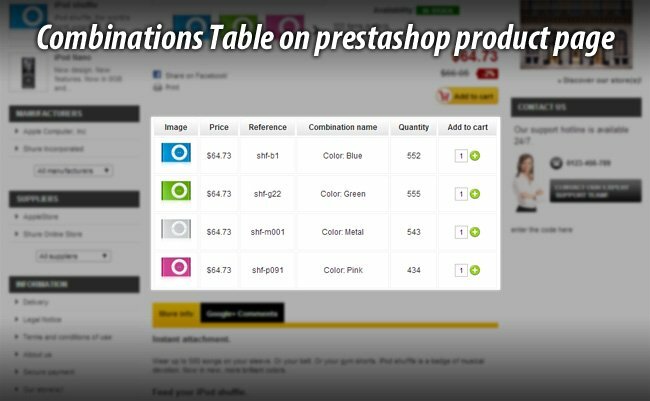 This great addon increases shop usability. 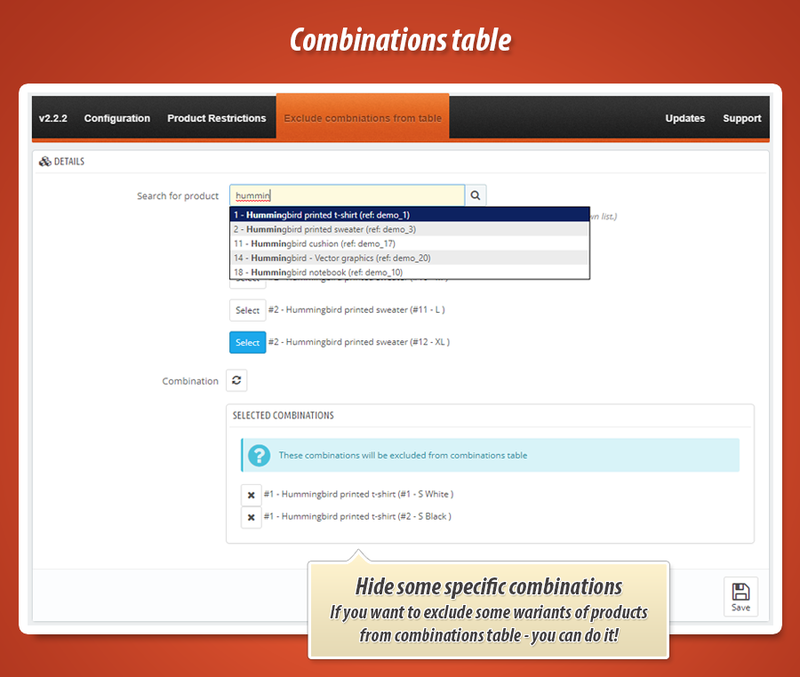 This module creates combinations matrix on each product page in your store (of course only when product has got combinations, variations of attributes). 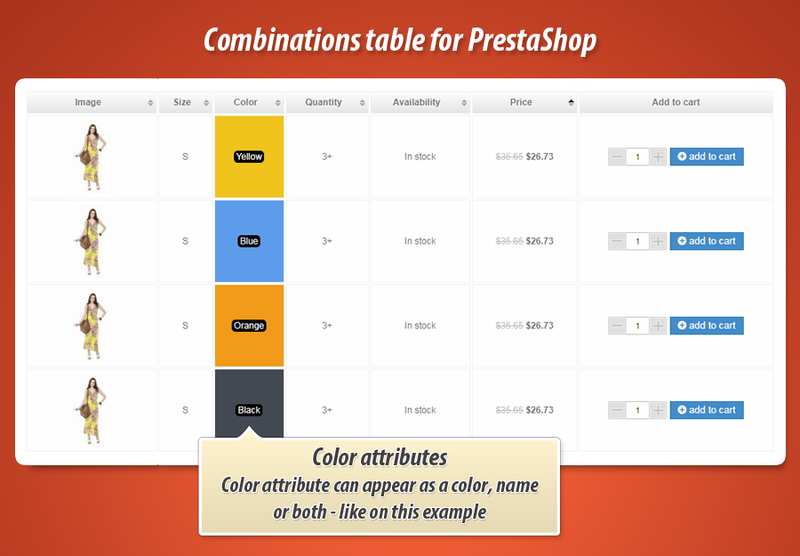 With this great and useful addon it easy to make purchases in the shop and shows the available variants of the product in a legible manner. 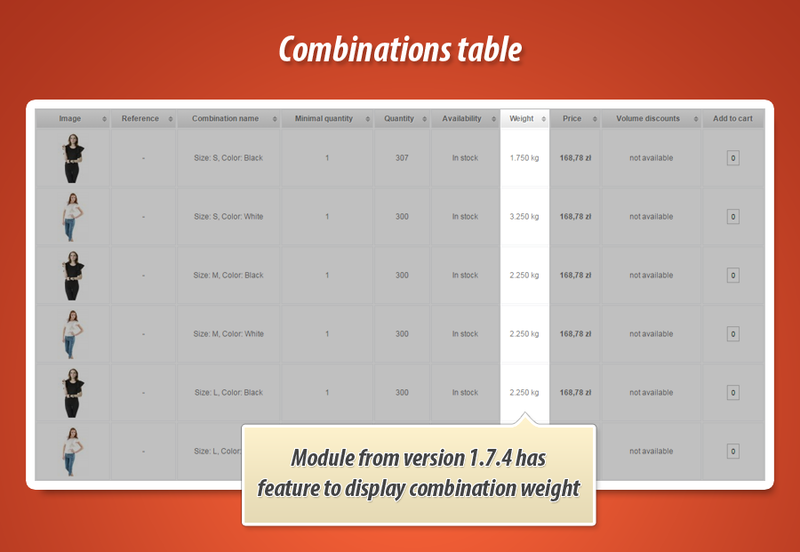 Read below how module works and possibilities on module configuration page. 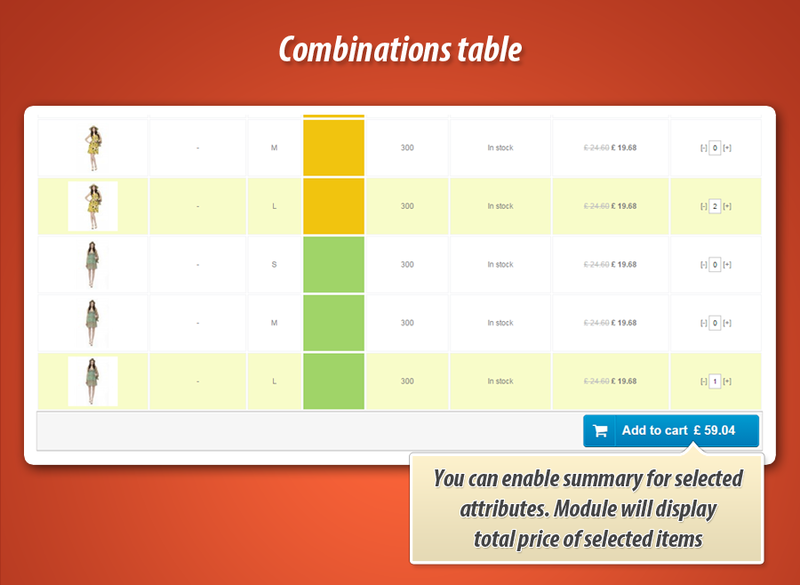 Main feature of this module is possibility to create combinations matrix on each product page in your store. 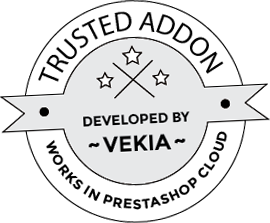 Now we want to write something more about features available in this module. 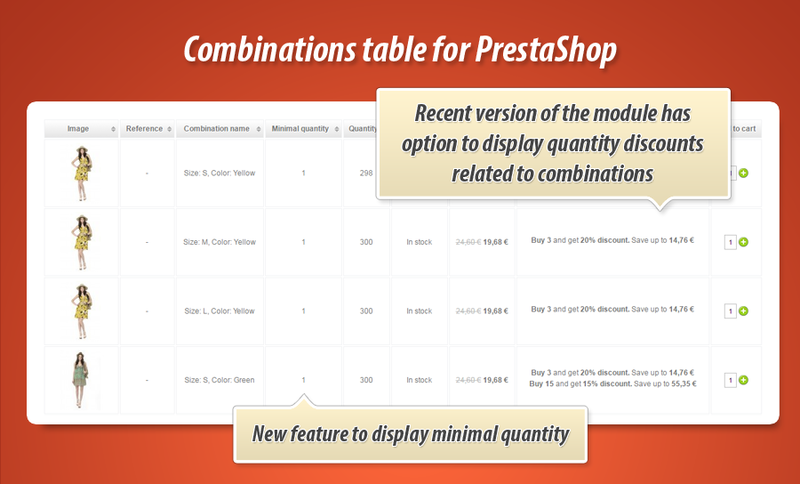 Module works like other prestashop modules. 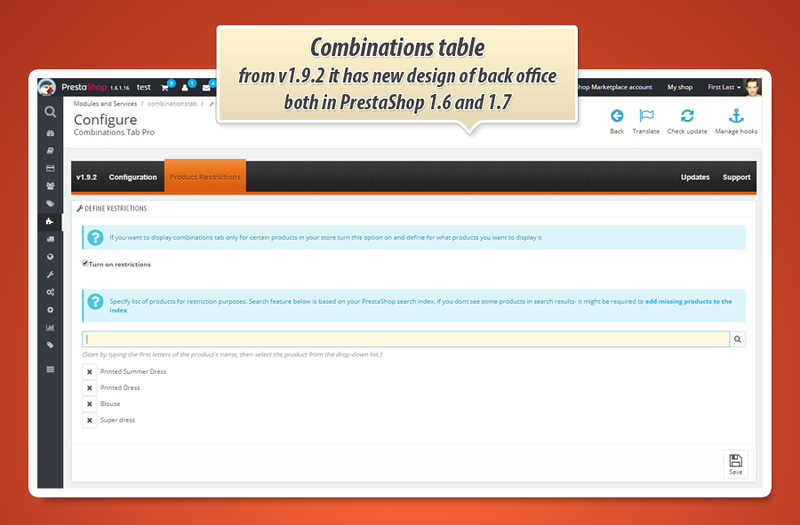 You can manage it in back office like other ones. 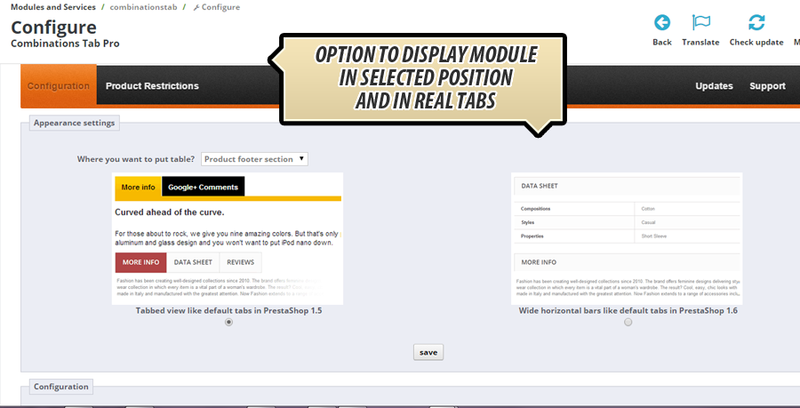 Module configuration page allows to define most important paramters of the addon. 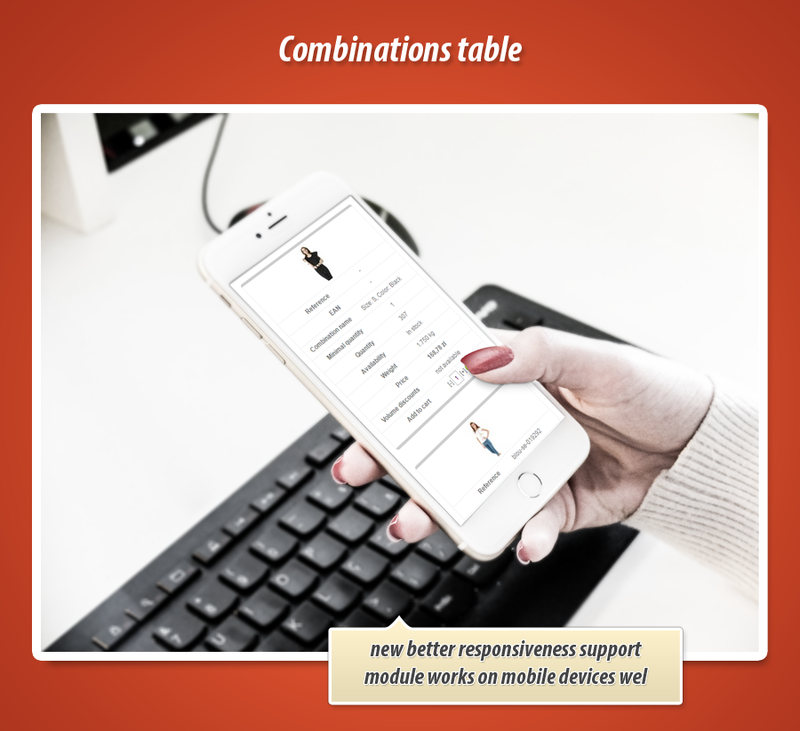 You can turn on or turn off image for combinations. 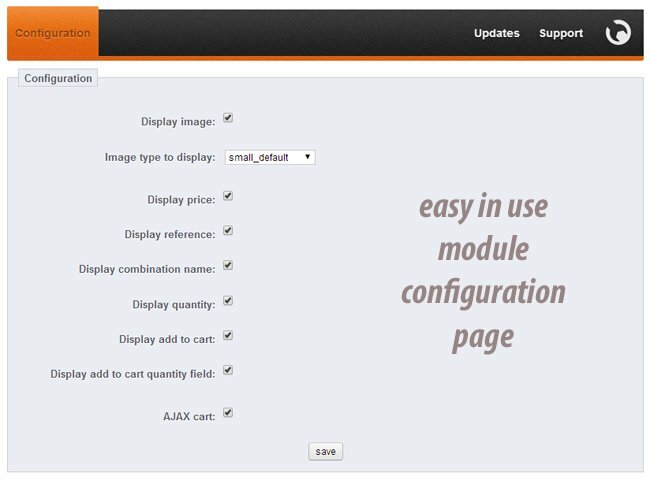 If this option will be active, and your combination will not have defined cover image - module will display special sign to inform, that combination hasn't got cover image. You can display price with tax excl. or tax incl. 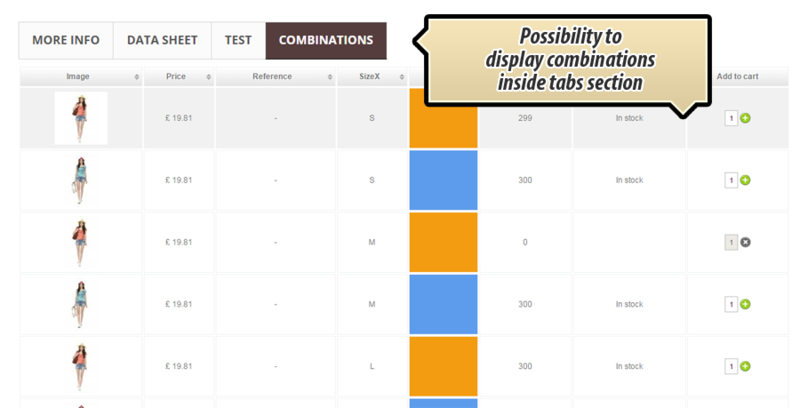 You can enable "sorty by attribute"
Each matrix row can be stylized with css styles, each row has got own unique class number, it allows to customize each aspect of the combinations table! 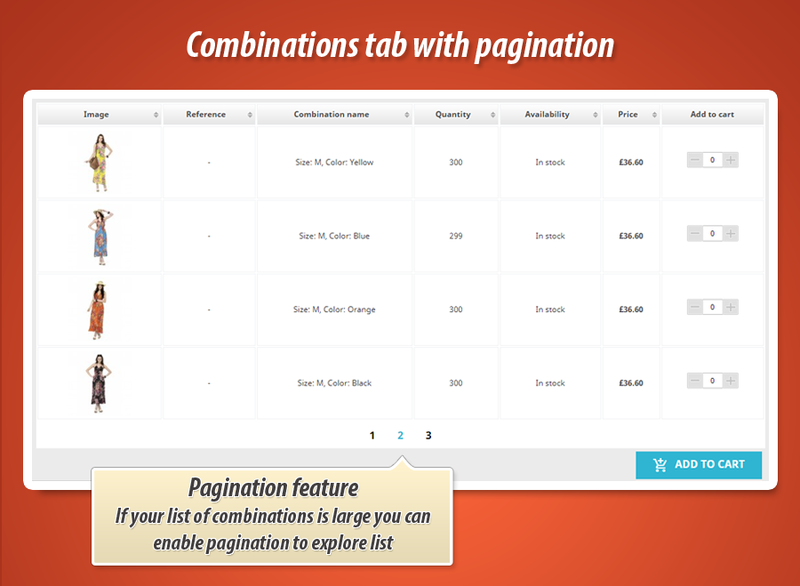 We recoreded video and created demo page where you can check how the module works. 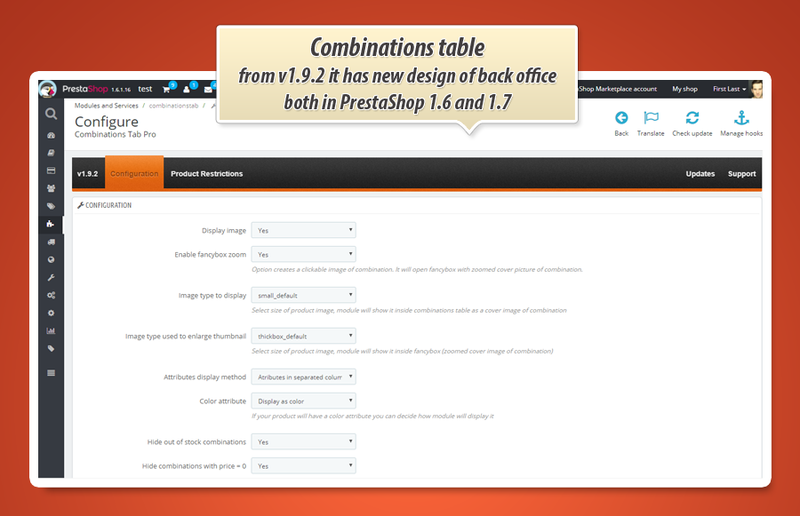 - added support of custom hook "CombinationsTable"
- This option - when enabled - will include attribute label(name) near the attribute value. 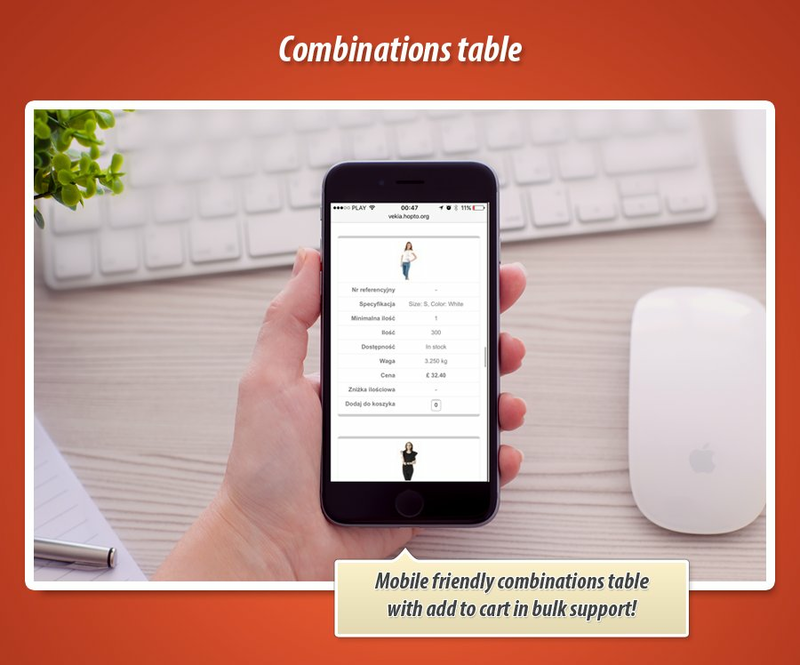 - module creates a cart properly now, previously if customer access to page without cart (no products added previously) module added only one product to cart. 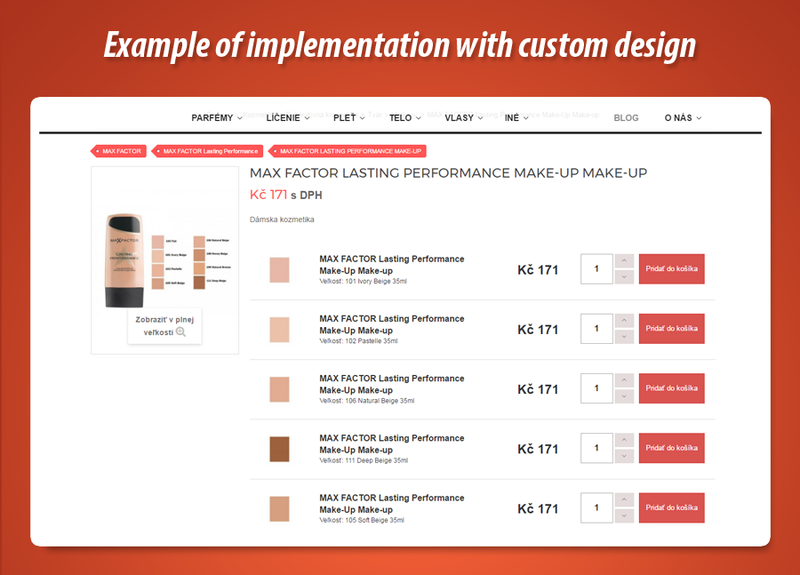 now it adds all selected products properly. 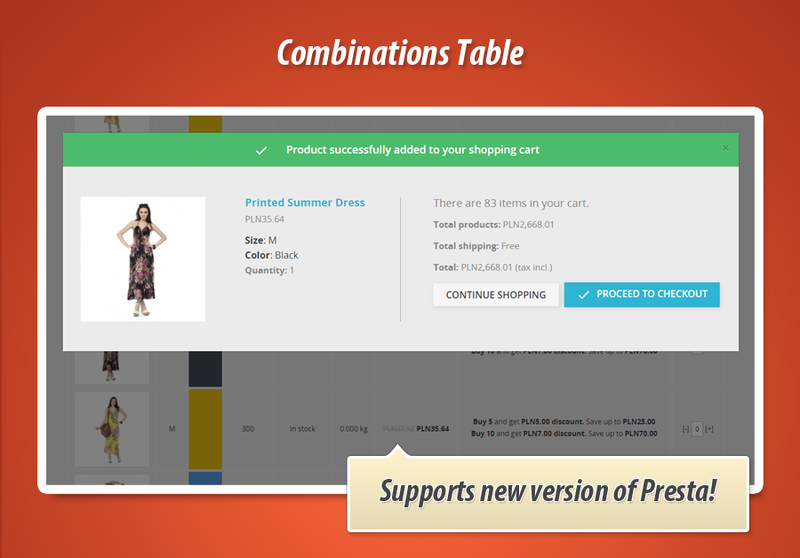 - added better support of price summary for "add to cart in bulk"
- added fixes related to appearance of volume discount with option "hide out of stock combinations"
- added fixes related to add to cart process with "secured front office"
fixes for appearance of columns with attributes, especially if product has no attribute in combination. 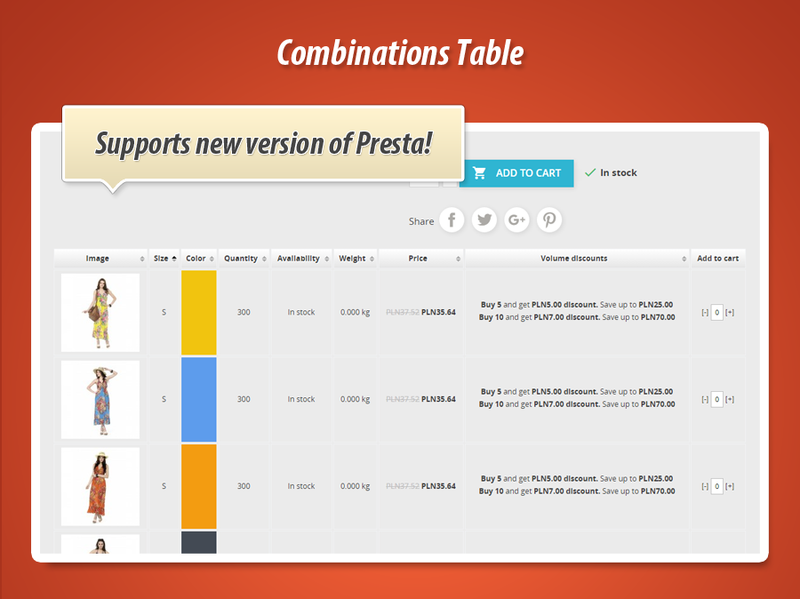 this is link to product page with enabled combinations table module. 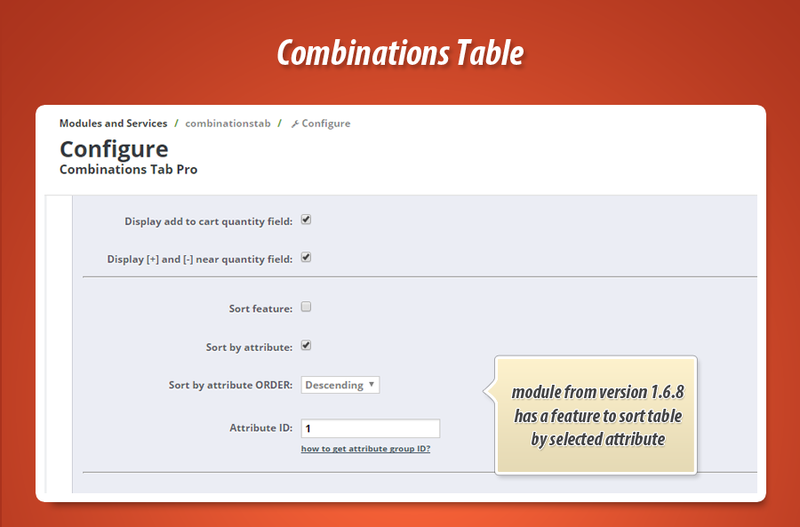 On this example page table is located below the tabs "more info" "data sheet" etc.